Hong Kong will celebrate Chinese New Year this week and our office will be closed Monday 30 and Tuesday 31 January. We will reopen as usual on Wednesday 1 February. Please see our Contact page for further details. 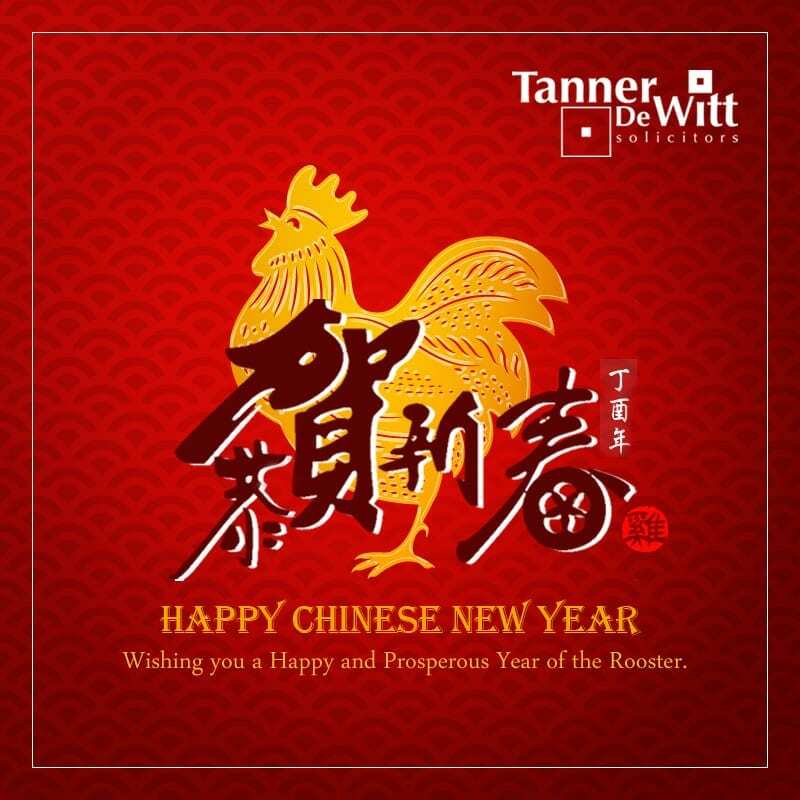 The team at Tanner De Witt wishes you a Happy and Prosperous Year of the Rooster!